The crew of the Starship Enterprise follow Captain James T. Kirk (Chris Pine), First Officer Spock (Zachary Quinto) and Dr. Leonard “Bones” McCoy (Karl Urban) on a desperate mission to capture Commander John Harrison (Benedict Cumberbatch), a Starfleet agent who has gone rogue. Their adventure takes them to the far edges of federation space onto the doorstep of the Klingon Empire. 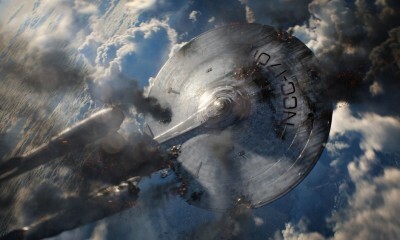 With Star Trek Into Darkness, J.J. Abrams returns to the franchise he rebooted and retooled with 2009’s Star Trek. He is not alone, also returning are Chris Pine, Zachary Quinto, Karl Urban, Zoe Saldana, John Cho, Anton Yelchin and Simon Pegg in the key roles. Roberto Orci and Alex Kurtzman (along with producer Damon Lindelof) provide the script yet again turning their attention toward firmly establishing the friendship between Captain Kirk and Spock, as well as cementing the family aspects of the supporting crew: Bones McCoy, Nyota Uhura, Hikaru Sulu, Pvael Chekov and Montgomery Scott. Newcomer Alice Eve joins the cast as Dr. Carol Marcus. Benedict Cumberbatch stars as Commander John Harrison with Peter Weller standing opposite as Starfleet Admiral Alexander Marcus with Kirk and the Enterprise stuck in the middle. The film is visually stunning, breathtaking in its effects, landscapes and the vastness and beauty of space. The stars, the galaxies, sci-fi movies have never looked this amazing. The film has non-stop action, poignant character moments and and emotional bond to the rich tapestry and characters originally brought to life by Gene Roddenberry. Star Trek Into Darkness is nothing short of impressive. 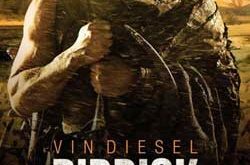 The film opens straight into action with Kirk and Bones being chased by the indigenous inhabitants of an uncharted planet facing extinction from an erupting mega-volcano. As Kirk and Bones skirt through the lush red landscape, Uhura and Sulu lower Spock into the heart of the volcano to set off a thermal device that will save the planet. When things go off plan, Kirk is forced to reveal the Enterprise, an act forbidden by Starfleet, to save his first officer. Back on Earth, this puts Kirk at odds with his mentor Rear Admiral Christopher Pike who is left to fight for Kirk’s position in Starfleet itself, much less remaining anything near Captain, resulting in Kirk’s demotion. 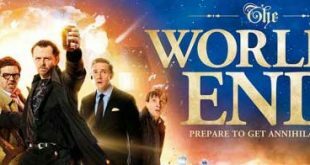 But everything is turned upside down when a rogue agent named John Harrison attacks the Fleet, detonating a bomb in the archives and firing upon Starfleet Command before escaping to Kronos, the Klingon homeworld. Admiral Marcus assigns the Enterprise back to Kirk sending him on a mission to destroy Harrison at the risk of starting a war. Soon Kirk finds himself stuck between the Klingons, John Harrison and, eventually, Admiral Marcus and his warship, the Vengeance, as well as the truth behind Harrison’s true identity is revealed. 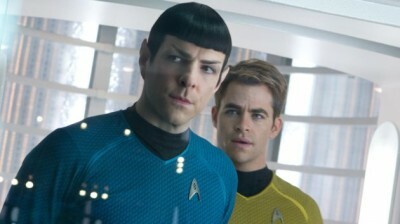 Chris Pine and Zachary Quinto earn their keep as Kirk and Spock with Star Trek Into Darkness. Their performances are inspired. Their chemistry is paramount to the kindling of the friendship Kirk and Spock develop. 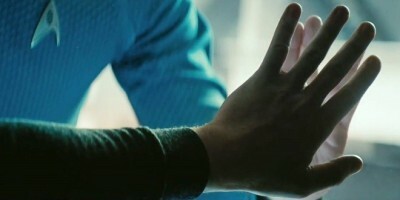 Their bond begins in Star Trek, but it is forged with Star Trek Into Darkness. It feels authentic and genuine. Pine’s Kirk is reckless and impulsive, but sincere and moral. Quinto’s Spock is rigid and always in control as he faces the emotions of his human side, feelings that contradict everything that is logical. Each character grows, learning from the other. Kirk learns sacrifice, selflessness while Spock learns the friendship, love and family. It’s this core emotional conflict the provides the foundation for all the spectacle and action that keep the film at its quick pace. It’s the little things that make the grand so spectacular. As the film focuses on James T. Kirk and Spock, the other familiar faces of Star Trek get less screen time than expected. Smart and funny, Simon Pegg milks the most out of his role as Scotty. Karl Urban is delightful leaving the audience wanting more of Bones McCoy; he is given the opportunity to utter the familiar line “Damnit, I’m a Doctor not a fill-in-the-blank.” Zoe Saldana plays off of Quinto’s Spock wonderfully, playfully; their lover’s spat is a small highlight of the film. John Cho and Anton Yelchin are given far less to do with Yelchin’s Chekov finding himself relegated to Scotty’s usual position as chief mechanic. At least Cho’s Sulu gets the chance to talk the helm of the Enterprise. Alice Eve as the new face, and body, of the cast playing Dr. Carol Marcus. While she has a pivotal moment in the film facing off against her father, Admiral Marcus, her role feels more about delivering exposition and setting up events for future installments. Regardless of their limited screen time, the cast more than make up for that by affording the film a rich sense of family, these characters know each other, live and work with other, care for each other. The ties between the cast of Star Trek characters may have never been this palatable. On the other end is Benedict Cumberbatch and Peter Weller cast as the “villains” of Star Trek Into Darkness. Both men are mirror images of each other and both have the makings of classic cinematic antagonists: they believe that the horrors they are committing are just and right. Each is acting on their own moral codes that dictate and drive their actions. Both men are formidable, frightening, when the time comes. Cumberbatch and Weller are excellent in their roles, providing the Star Trek franchise with memorable, exciting new villains. 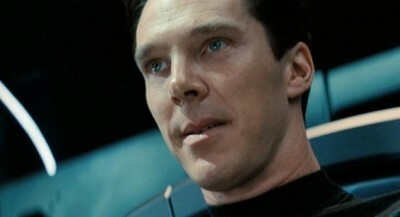 Benedict Cumberbatch is perfectly cast as John Harrison and the man Harrison becomes. He provides the character with an air of dominance arrogance and superiority. He has presence, in his voice, in his stance, in every word and every step. Weller, however, gives Marcus a more politically driven motivation and vigor, more authoritarian, bureaucratic and sovereign, a despot. A minor squabble is that neither character is given much more than this to run with resulting in both characters coming across slightly one-dimensional. J.J. Abrams really pours it on with Star Trek Into Darkness displaying a talent for pacing, action and visual wonder. He wears his influences on his sleeve from Spielberg to Star Wars to Indiana Jones. He plays dangerously close between homage and parody. The chase scene on Kronos is reminiscent of the Millennium Falcon racing through the Death Star; Kirk and Bones escaping the clutches of the red planets peoples is very much like the opening of Raider of the Lost Ark; and Kirk’s trip through the reactor core tip toes uncomfortably close to the parody of the shared source material in Galaxy Quest. Nitpicks aside, the film is stunning, a visual odyssey, epic in scope. The pacing is masterful, the music and 3D is splendid. The worlds and ships are filmed with a loving eye pulling out every ounce of beautify and painting on the screen. “Wow” only gets close to describing the results. The sight of the Vengeance catching up with and firing upon the Enterprise while each ship is in warp drive is astounding and inventive. Beyond that, however, Abrams also knows how to handle the character moments; in fact, its his balance of the quiet and the sonorous that makes the film the success it is. The moment when Spock watches, helpless, as his comrades die is as important as a starship crashing towards Earth. 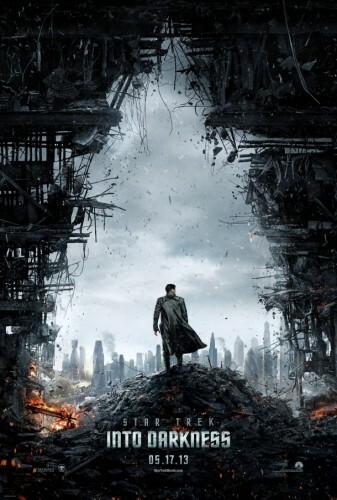 Star Trek Into Darkness is triumphant, another successful entry into the Star Trek franchise by director J.J. Abrams. 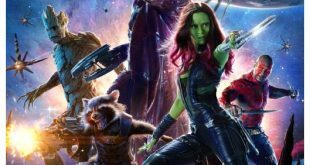 While die-hard fans may find this less appealing than most, this version of the franchise is for the mass market, young, vibrant, full of life and promise. It is no longer shackled by the history of the franchise nor the actors who played the roles prior. What Star Trek did in 2009, Star Trek Into Darkness solidifies in 2013. This is brilliantly displayed by the final few scenes of the film as Pine recites Captain Kirk’s famous opening lines of the 1960’s TV show that oringally introduced the characters and premise. The film ends up taking the characters – and the fans – full circle ending where everything started, but with an empty slate, with all of space to explore, stamping the Roddenberry’s themes and ideals onto the final credits. The relationships are earned not just explained. The desire and need to take the 5 year trip into the darkness of space is yearned. The crew of the Enterprise is a family, there is a trust and a bond that is unmatched in most other cinematic franchises. Abrams paves a sensational road getting there too. Star Trek Into Darkness is a staggering success, full of wonder, action and excitement, the definition of a Summer film. 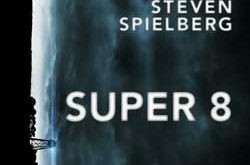 Yeah I enjoyed the film although I believe you over emphasize the depth of the relationship between the cast including the Kirk-Spock relationship. I think it really only works because of the fore knowledge known by most of their close relationship. Still what’s presented does help reinforce the bond between the characters. I agree that Abrams has delivered a visually impressive film and his sense of pacing is impeccable. There never seems to be a dull moment and the movie moves along trusting the audience to follow along. 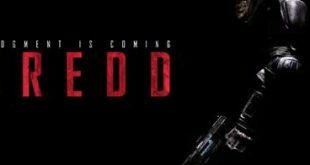 As a die hard Trek fan I will admit that the film plays fast and loose with science but it does deliver a decent sci – fi action flick that is respectful of the characters and their former histories. I trust Abrams will deliver a good Star Wars film. 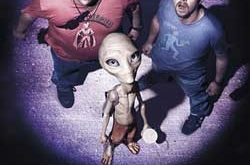 I just hope he takes it easy on the lens flares in that film.